Baby walkers help babies and toddlers exercise, practice their motor skills and learn to walk – and have a lot of fun in the process. Our team performed extensive research on the two main variations of baby walkers ­ – seated baby walkers and sit-to-stand baby walkers – to curate the list of recommended products below. When making selections, we considered safety, durability and added features, such as play panels and convertibility. Check out our baby walker buying guide to learn more about these factors. Read more about our methodology. The Kolcraft Tiny Steps Activity Walker converts from a seated baby walker to a stand-up walker, making it versatile and flexible for children as they grow and develop. This feature, along with simple and effective developmental activities, makes this baby walker a great choice. A sturdy build and plenty of development-oriented activities offered at a low price makes this baby walker a great choice for parents with a budget. The Fisher Price Learn With Me Zebra Walker helps your child walk and also allows for sit down play when they get tired. With a fully removable toy station and sturdy build, the Bright Starts Walk-A-Bout Walker is a simple and safe seated baby walker that is great pick for kids who are active and ready to learn how to walk. 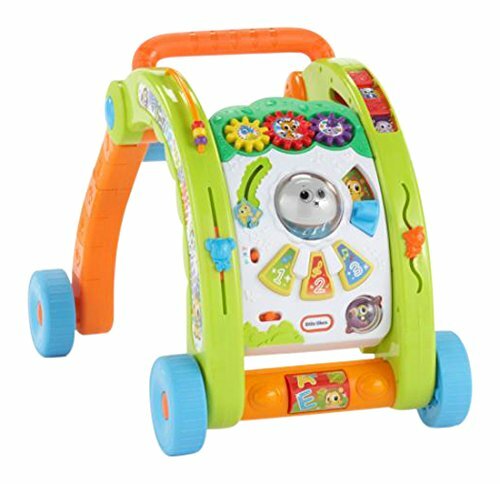 The VTech Sit-to-Stand Learning Walker boasts a completely removable play panel that’s packed to the brim with learning and fine motor skills activities. Its sturdy, four-wheeled base helps your child walk without the fear of falling, making it a good choice for any parent. The main point of any kind of baby walker is to help your child learn how to be more confident as they are learning how to walk. However, most baby walkers also include some kind of learning or play component, which is equally as important for their young, developing minds. The type of learning activity included on the walker you purchase should help your child with one or multiple levels of development, including areas such as gross and fine motor skills, letters, and numbers. Learning how to walk is a big milestone for a child, but it also means they’ll be able to access areas they couldn’t reach and do things they couldn’t do before. Baby walkers, both seated and sit-to-stand, give your child mobility, and they should have some kind of safety feature. Typically, brakes or speed settings (the ability to adjust wheel resistance) are the most important safety features to look for on baby walkers, especially if you have areas in your home where your child can get hurt. Toddlers are tough on their toys! It’s just a fact of life. If you know your toddler is particularly destructive, you might want to consider the durability of the baby walker you purchase. Some walkers are built sturdier than others, in both overall structure and durability of the toys found on the walker. Even if your toddler isn’t destructive, they’ll likely be running into walls and furniture as they’re learning to walk with their baby walkers, so it’s important to purchase something you know will last a long time. For less than $20, you can get a budget baby walker. Budget baby walkers typically lack safety features and offer sparse learning activities. Many are also build with less sturdy materials, meaning you might have to replace them more often. 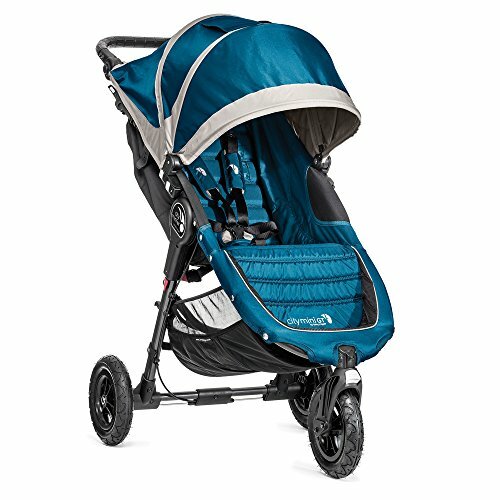 The baby walkers you can purchase in the $20-$50 range will satisfy the needs of most consumers and offer plenty of learning options, safety features, and sturdy builds. These baby walkers will hold up long enough to go through multiple children, in most cases. The higher-end models, above $50, typically don’t offer more in the terms of learning options and extra features, but they are often built with a higher quality, meaning they’ll last much longer than other models. Boasting convertibility, high-quality build, and engaging activities, the Kolcraft Tiny Steps 2-in-1 Activity Walker is a great choice for most parents looking for a baby walker. It also offers a simple setup process, along with a convenient folding down feature, making it easy to store. Two-in-one capability. You get the best of both worlds with the Kolcraft Tiny Steps 2-in-1 Activity Walker. It offers the ability to convert from a seated baby walker to a walk-behind baby walker without a complicated process. All you have to do is remove the seat and back bar, and your child is ready to go! This versatility removes the worry of having to purchase another walker when the time comes for your child to graduate from seated baby walkers. Engaging play station. The play station on the Kolcraft Tiny Steps 2-in-1 Activity Walker includes engaging and fun toys for the child, including a flower with crinkle petals, a bead bar for motor skills, and a spinning ball. It also plays music and sound with adjustable volume. High quality build. 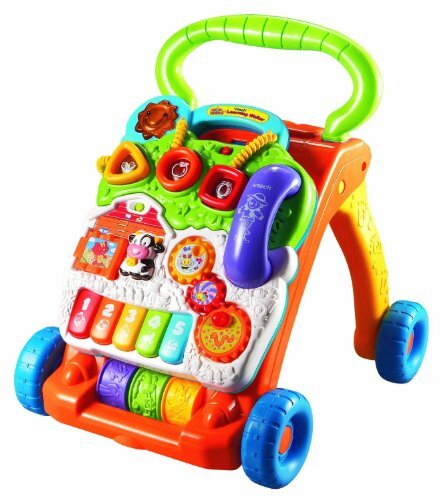 This baby walker is made from sturdy plastic, and the material for the toy station is also built from a sturdy material. The height of the seat is adjustable and overall, the walker is built for stability, lessening the chance of tipping over. Foldable. Storing baby toys can be a difficult endeavor sometimes, but this baby walker folds completely flat, without any parts of it awkwardly sticking out. This makes it incredibly easy to store and allows you to easily travel with it. Doesn’t work well on thick carpet. Unfortunately, this baby walker doesn’t work too well on carpet, making it difficult for homes that are mostly carpeted. While it does offer serviceable performance on thinner and lower carpets, it struggles on thick material. The Fisher Price Learn With Me Zebra Walker is a great baby walker for those on budget due to its sturdiness and variety of available activities on the front panel. While it lacks some extra features found on higher-priced baby walkers, it still makes a great choice for babies just learning how to walk. Fun and engaging play panel. 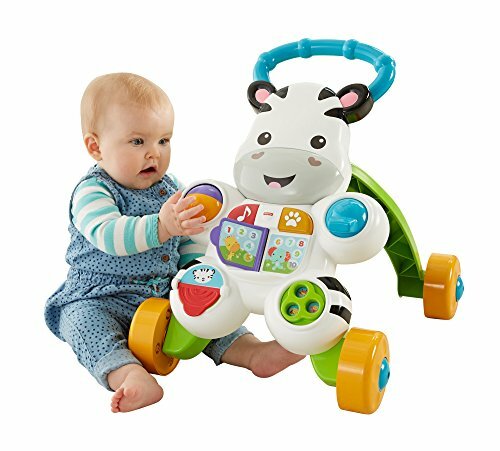 The front panel of the Fisher Price Learn With Me Zebra Walker is packed with a variety of engaging and fun activities for your child. It includes light up buttons and encouraging phrases, such as “keep going!” that help the child feel confident in their steps. The walker also includes plenty of features that help your child develop fine motor skills. Overall, the play panel is engaging, encouraging, and interactive. Good build quality. This baby walker is built with a wider four-wheeled base, which adds extra stability for your child as they’re toddling around. It also includes a handle that’s easy to grasp and room in the back for your child to walk without catching their toes. Simple setup. Putting the Fisher Price Learn With me Zebra Walker together is as simple as snapping the pieces in place. While you will need a slim Phillips screwdriver to install the batteries, everything else is tool free and easy enough to build within minutes. Doesn not store or travel well. The Fisher Price Learn With Me Zebra Walker doesn’t fold and doesn’t have removable play panel, which makes it harder to take along with you and store. No brakes. While the baby walker is sturdy and wide enough to prevent most tip overs, the wheels lack any kind of speed control or non-skid pads. This means your child has more mobility and may lose control if they get going too fast. Seated baby walkers are the first step to introducing your child into the world of standing and walking. Your child may not be old or big enough to start walking on their own, so seated baby walkers allow them to sit comfortably while still encouraging them to use their legs. This type of baby walker should have an adjustable seat to accomodate babies of different heights, and the best walkers also have play components. The Bright Starts Walk-A-Bout Walker offers adjustable seat height, a removable toy, and good overall build, each of which makes for a great experience for both the parent and the child. This seated baby walker is engaging and fun for children who want more mobility. Removable toy. 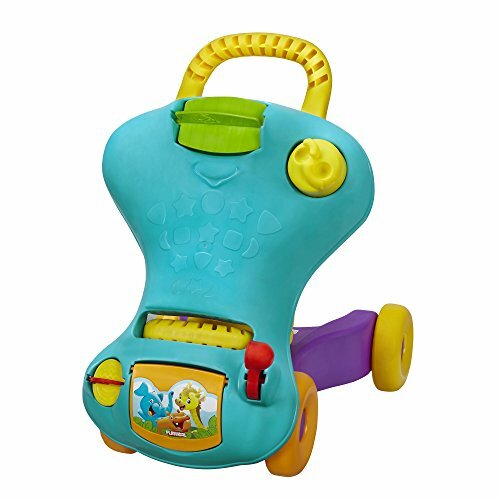 The electronic toy on the Bright Starts Walk-A-Bout walker is fully removable, which gives you two benefits. First, when your child is tired of sitting in the walker, but still wants to play with the toy, you can remove it for more flexible play. 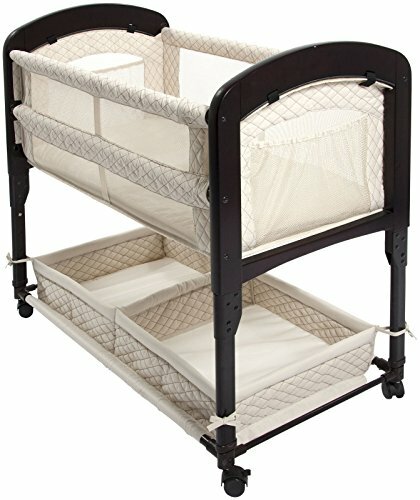 This also frees up more tray space for when your child wants to stay in the walker but needs to eat and drink. The toy is fun and engaging, with sounds and light up components. Easy to store. You can easily fold up this seated baby walker for easy storage. 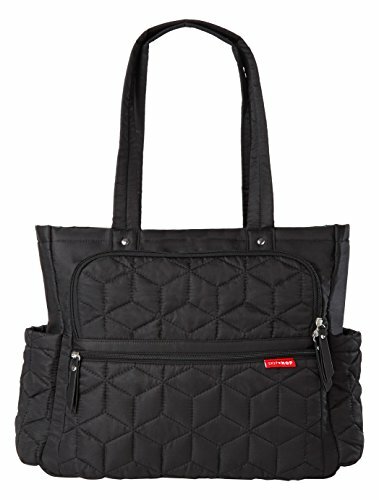 This gives you more flexibility to travel with it or store it when your child isn’t using it. It also makes it easy to keep for use with more children in the future. Great build quality. The Bright Starts Walk-A-Bout Walker is built from sturdy material and offers a lot when it comes to extra functionality. It has three adjustable seat heights and a high-backed chair, making it more comfortable for a variety of sizes. The walker also works well on carpet. Good safety features. This seated baby walker has a strong, wide frame, helping your child avoid pinched fingers and toes near walls and furniture. It also has rubber feet that help the child brake when they get near uneven or rough surfaces. Not for taller children. If your child is naturally taller than most other children in their age range, this walker might not be the best fit for you. The height options seem lacking for taller children, and you may find that your taller child won’t fit properly. The Safety 1st Lights ‘n Sounds Discovery Walker offers versatility in the way your child plays. With a play station that expands by swinging open the two activity trays, this seated baby walker is a good choice for parents with busy children. Versatile play trays. 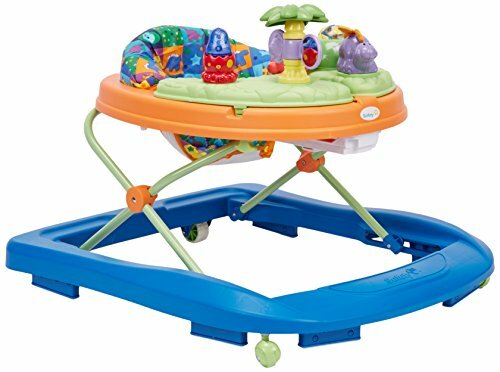 Even though they aren’t removable, this seated baby walker’s play station has two activity trays that swing open to reveal more space underneath. This gives you more versatility when it comes to play and snack time, especially when you want to combine the two. This also allows you to give your child their own standalone toys to play with, without getting overwhelmed by all the options in front of them. Foldable and adjustable. The Safety 1st Lights ‘n Sounds Discovery Walker is foldable for easy storage, although it doesn’t fold completely flat due to the seat back. You can also adjust the seat height in three different ways to accommodate your child’s growth. The seat’s fabric material is machine washable, as well. Safety features work well. This seated baby walker includes grip strips on the wheels, which slow your child down whenever they go over uneven or rough surfaces. This can help you feel comfortable with your child’s new level of mobility in the house. Sturdy Build. The Safety 1st Lights ‘n Sounds Discovery Walker is built to last. With a sturdy, wide build, you can be sure that this will last for a long time and through multiple children. The toys are also sturdy and less likely to break over time. Not for shorter children. 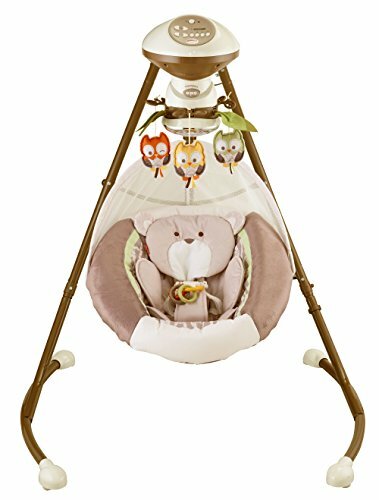 Even though this seated baby walker has adjustable seat heights, the lowest setting still seems a bit tall for naturally shorter children. If your child is short, you may want to look for a different seated baby walker. The Joovy Spoon Walker is a simple and elegant seated baby walker. While it doesn’t come with any kind of toy or activity center, it focuses on a safe, sturdy, and durable design. 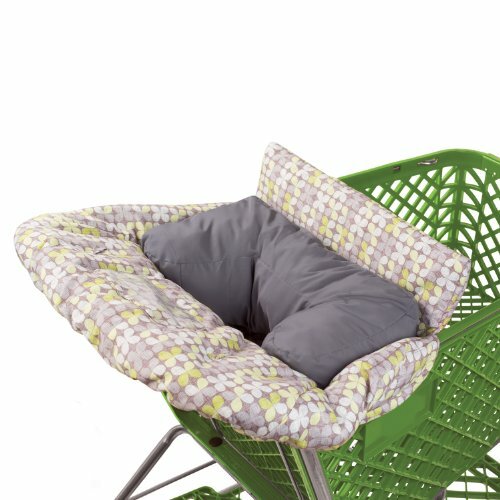 It’s made to last and it offers a higher level of comfort than most seated baby walkers. Simple and elegant design. If you’re looking for a seated baby walker that looks clean and doesn’t distract with flashy toys and colors, look no further than the Joovy Spoon Walker. This seated baby walker doesn’t pretend to be something it’s not. It is made to help your child use their leg muscles and stay comfortable doing it. Incredible build quality. 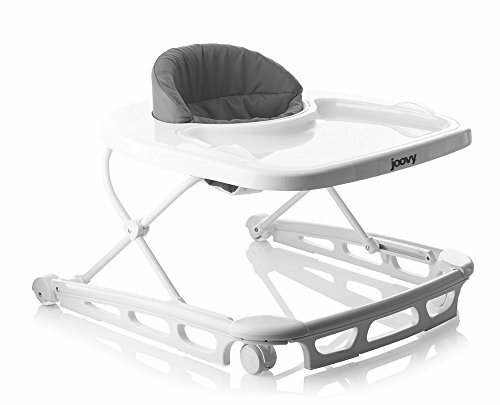 The Joovy Spoon Walker is built incredibly well, and it will last for a long time, even with the roughest children. It has a wider base, meaning your child will always avoid pinching fingers and toes. 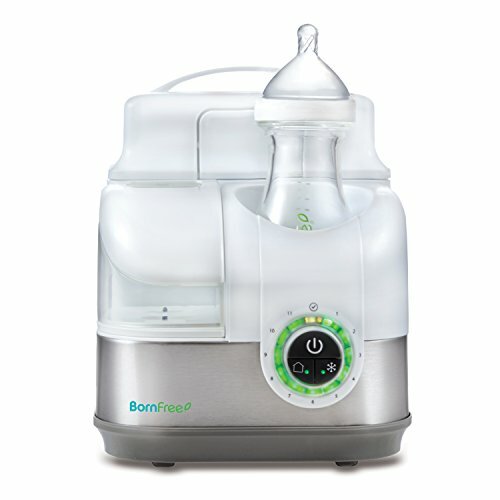 It’s also BPA, PVC, and Phthalate free, making it safer for your child’s health. 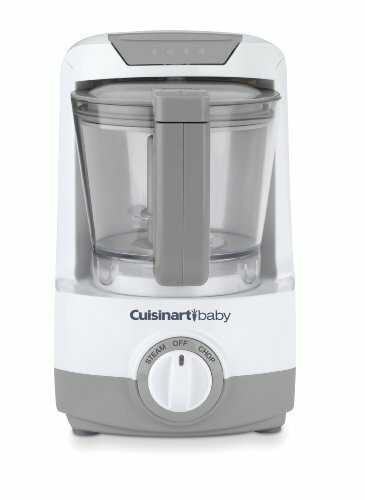 The seated baby walker also includes a removable tray insert that’s dishwasher safe, giving you an easier clean up. Foldable and adjustable. This seated baby walker folds down completely flat, making it easy to transport and store. You can also adjust the seat’s height to three different levels. Safety features. Along with the wider base to avoid pinched fingers and toes, the Joovy Spoon Walker has non-slip stair pads on its oversized wheels. This helps your child slow down and even stop when they encounter uneven surfaces. No interactivity. If you’re looking for a seated baby walker that entertains your child while teaching them to use their legs, this isn’t the walker for you. With no toys or interactive features, this seated walker is focused solely on providing a walker and high chair solution. Sit-to-stand baby walkers focus on the next step of helping your child learn how to walk. These baby walkers should focus on stability and encouragement. They should also offer plenty of activities to keep your child stimulated. Safety is also a concern, and you may find that some of these walkers offer speed control and braking options. The VTech Sit-to-Stand Learning Walker offers the most variety that we’ve found when it comes to interactive play panels. With over 70 songs, sounds effects, phrases, and music options on its play panel, you can rest assured that your child will be entertained for hours. The play panel is also removable, allowing for extended periods of interactivity after your child is tired from walking. Incredible play panel. The play panel is by far the best feature on this sit-to-stand walker. It has over 70 songs, sound effects, phrases, and other music options. It also includes many fine motor skills activities like rolling balls, shape sorters, and light-up buttons. There is also a learning center with 5 piano keys that encourage learning and creativity. The play panel is completely removable, as well, making it easy for your child to continue playing, even after they’re tired from walking around. Easy set up. The VTech Sit-to-Stand Learning Walkers comes in frustration-free packaging, meaning it’s easy to open and easy to put together. Most pieces just snap together, and you won’t need any tools to put this walker together. Works well on carpet. The oversized, sturdy wheels on this sit-to-stand baby walker work well on carpeted floors and hard floors. Good safety features. With a wider wheel base, this baby walker is harder to tip over, giving your child the confidence they need to walk around independently. It also includes a really good tension control dial for the wheels, meaning you can control how easily the walker rolls around. Some pieces may be easily lost. With such a wide variety of activities and toys to play with, some of the toys might be easily lost from this walker, especially since some of them aren’t fully connected. With 3-in-1 capability, the Little Tikes Light ‘n Go 3-in-1 Activity Walker is a great choice for busy children who want lots of options when it comes to play. 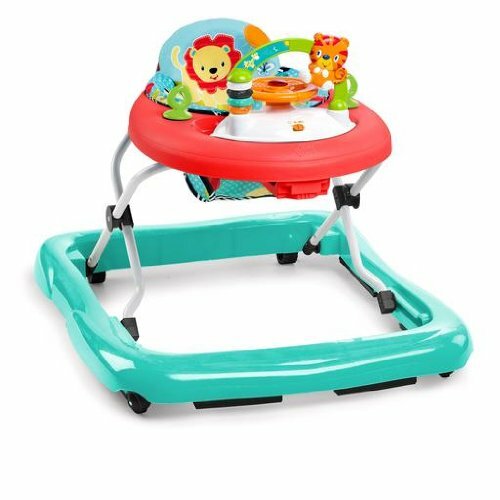 This sit-to-stand baby walker can be a walker, an activity table, or a sit and play toy, offering the most versatility of the baby walkers we reviewed. It also offers wheel locks for added safety. 3-in1 play modes. This baby walker can be a walker, an activity table, or a sit and play toy. This kind of versatility is rare in baby walkers, and the Little Tikes Light ‘n Go Activity Walker does it really well. Converting between the three modes is simple for adults and hard for children, making it easier for you to control how the toy is used. Incredibly engaging toy panel. The toy panel on this baby walker is projects lights on the floor in front of it, making your child try to “catch” the lights, which encourages walking and chasing. The play panel also contains plenty of interactive learning activities that develop fine motor skills and other skills. Wheel locks. If needed, you can lock the wheels to make this walker stationary. This helps you control when and how mobile your child can be, and offers a great solution for letting your child play without having to worry about them getting to places where they shouldn’t be. Rolls on carpet. The Little Tikes Light ‘n Go 3-in-1 Activity Walker works well on carpet and hard floors, allowing your child to experience different terrains when learning how to walk, while still providing stability. Some difficulty with wheel locks. Some parents have experienced some difficulty with the wheel locks. While this is a great feature to have for safety concerns, it can be a little difficult to fully operate at times. 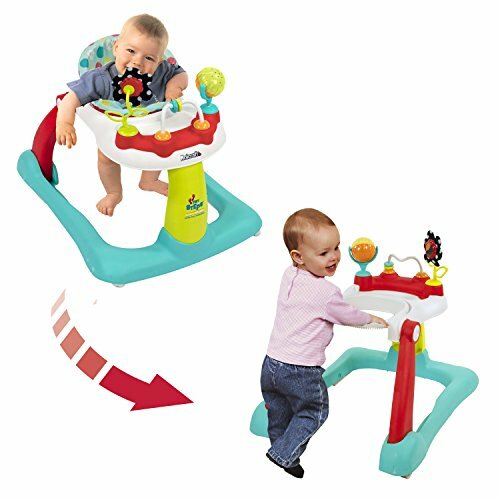 The Playskool Step Start Walk ‘n Ride offers an interesting take on sit-to-stand walkers. While it has all of the typical functionality of other sit-to-stand walkers, it also offers a ride-on mode. This gives it more variety and allows your child to switch things up. The play panel, while simple and not removable, is still fun and engaging, making this a good choice. Convertible ride on mode. The Playskool Step Start Walk ‘n Ride isn’t just a sit-to-stand baby walker. 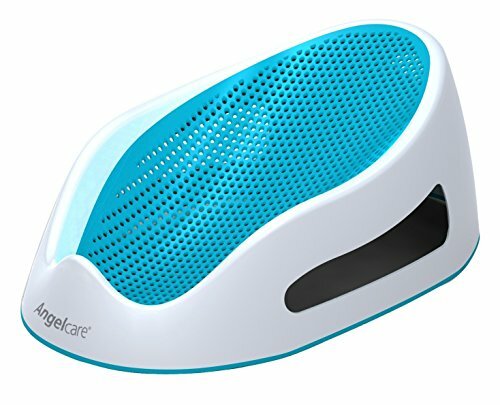 It can convert to a ride-on toy that your child can sit on and scoot around. The process to convert it over to a ride-on toy is simple and the locking mechanism is difficult for the child to operate, but not for the adult. Accessible toy panel. This baby walker has a spinner toy that is accessible from the front and the back of the toy panel. This allows your child to continue practice standing while still being able to play with the toy. Sturdy design. The Playskool Step Start Walk ‘n Ride baby walker has a good, sturdy design that helps provide stability and balance to your child as they’re learning how to walk. The toys and activities on the play panel are also sturdy and durable, meaning they’ll last longer even as your child continues to play with it. More difficult setup. This sit-to-stand baby walker requires more assembly than others, and you’ll need to use a Phillips-head screwdriver to fully assemble it.